As we move into the magical 12th month of the year, the cosmic acceleration and awakening continues to spread around the globe. December is typically a time for celebration and giving. It is also the time of the year our planet aligns with the Galactic Center located at 27° Sagittarius. Bountiful Jupiter recently moved into adventurous Sagittarius for a year, emphasizing more global interest in travel, education, and international relations. Perhaps this influence will temper some of the divisive rhetoric and polarized rigidity pervasive in the world. We are approaching the annual Ascension alignment that occurs between 12:12 and 12:21 Solstice…it opens a Cosmic Gateway into higher dimensions. 12:12 is a cosmic ascension code that signifies attainment of 12th dimensional Christed Divinity. On 12:12 the cosmic portal opens throughout the galaxy to access divine consciousness and the activation of 12 strand DNA. 12:12 is a sacred symbol that represents your spiritual growth as an infinite being. Those who are drawn to the power of 12:12 (inverse 12:21) belong to a group of evolved souls that carry the crystal god seed codes of ascension. According to Metatronian mysticism, 12:12 is a sacred code that activates your Merkabic field. The sacred geometry of Metatron’s Cube is comprised of 12 circles/pillars encircling the ONE. It is no surprise that 2012 was the year the global matrix of time density unlocked. There is intelligent design in the numbers, symbols, codes and geometry of our universe. We are being blessed at this time with much support from the Family of Light, as we transition from living in a Matrix of Enslavement, the reptilian-human hybrid genetics and the collective frequency fence of Time/Duality. During this extraordinary time humanity is experiencing a healing crisis of monumental proportions. As the dying patriarchal control system is gradually collapsing, the divine feminine is rising as the soothing balm of compassion, respect and loving kindness for all life on the planet. Let’s keep the momentum rising! 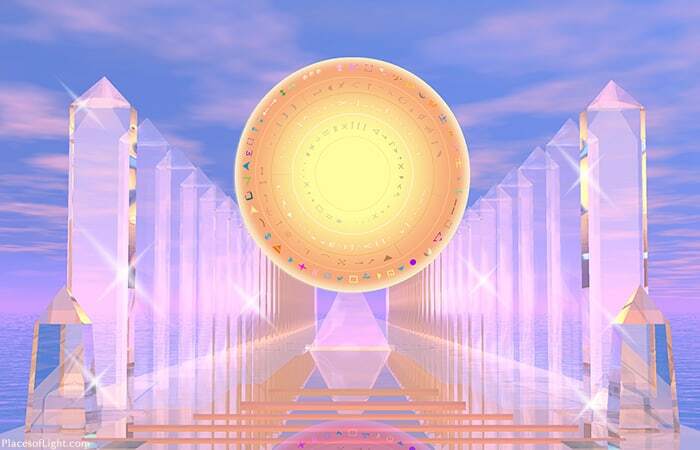 orm a ‘group mind’ and receive the divine 12 strand DNA activations. After writing the ascension codes, do I have to publish them on the Ethernet? If so, I don’t know how to do it. Do you have any suggestion? I don’t have the answer…I recommend asking your Higher Self to guide your next actions.